Fiat India has pushed back the Avventura crossover styled hatchback’s launch to the end of October 2014. Originally, the Avventura was scheduled for an October first week launch. The Avventura is a hatchback based on the Punto EVO with rugged styling to mirror that of a crossover. Styling bits apart, the Avventura is essentially a Punto EVO under the skin. Though the actual competition from the Avventura in India, will come from the likes of the Toyota Etios Cross and the Volkswagen Cross Polo, the Fiat will instead gun straight for a full fledged crossover, the Ford EcoSport. The Avventura will be priced in between the Punto EVO hatchback and the Linea C-Segment sedan, between the 6-8 lakh rupee marks. The Avventura uses 1.4 liter naturally aspirated petrol and 1.3 liter turbocharged diesel engines for propulsion. Only five speed manual transmissions will be offered on the car for now, with no plans for an automatic gearbox in the short term. 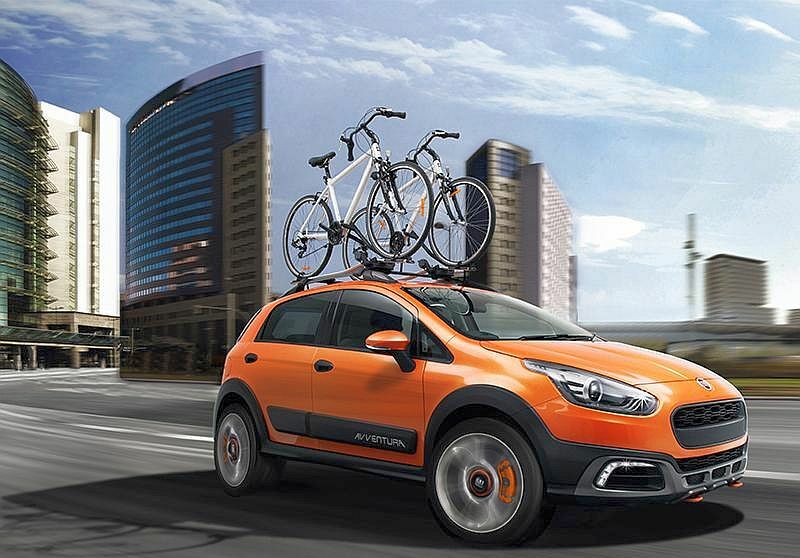 The Avventura is front wheel driven and Fiat has no plans to equip the car with an all wheel drive system. In terms of bad road handling ability, a key selling point of the Avventura, the vehicle comes equipped with a generous 205 mm ground clearance and 16 inch alloy wheels. These facets of the car put it head and shoulders above its competition, read the Etios Cross and Polo Cross. Why, the Avventura beats even the Ford EcoSport in terms of ground clearance. Five variants of the Avventura, two in petrol and three in diesel, will be offered to car buyers in India. The Avventura is the first crossover styled hatchback to be based on the Punto EVO, and is making its debut in India. Fiat also has plans of exporting the Avventura to other emerging markets from its Ranjangaon factory, off Pune.